Teeth whitening involves bleaching your teeth to make them look lighter. Teeth whitening can’t permanently change the colour of your teeth, but it can lighten the existing colour by several shades. There are many teeth whitening systems and products, and your dentist is the best person who can advise you what product will be the best for you. Before embarking on a course of tooth whitening to determine whether it is a suitable treatment option for this particular patient, the dentist should carry out an examination. A detailed contemporaneous record should be kept of this examination, detailing the consent process including dentist’s discussion with the patient about the risks and benefits of the treatment. The Regulations allow the use of hydrogen peroxide and other compounds or mixtures that release hydrogen peroxide, including carbamide peroxide and zinc peroxide to be used for tooth whitening. The maximum concentration that can be used is 6% present or released. In broad terms, 10% carbamide peroxide content would yield a maximum of 3.6% hydrogen peroxide. Thus, the commonly used products containing 16% carbamide peroxide are permitted because they would normally be releasing less than 6% hydrogen peroxide. After thorough dental examination and presenting different treatment options patient may choose either tray-based or in-office whitening procedure. Tray-based teeth whitening systems, involve taking the impressions for whitening tray, which is manufactured in the dental laboratory, and precisely fitting patient’s teeth. This tray is then filled with a gel whitening solution – which contains a peroxide-bleaching agent. The tray is worn for a period of time, generally from a couple of hours a day to every day during the night for up to four weeks and even longer (depending on the degree of discoloration and desired level of whitening). As long as the situation in mouth hasn’t changed, patient can use the same tray again, if his/her teeth need refreshing. In-office bleaching provides the quickest way to whiten teeth. With in-office bleaching, the whitening product is applied directly to the teeth by dentist or trained dental professional. These products can be used in combination with heat, a special light, or a laser. Results are seen in only one, 30-60 minute treatment. But to achieve dramatic results, several appointments are usually needed. However, with in-office bleaching, great results can be seen after the first treatment. How Long Does Whitening Effects Last? Teeth whitening is not permanent. Patients who avoid foods and beverages that stain may be able to wait one year or longer before another whitening treatment or follow-up is needed. No. Teeth whitening won’t work on dentures, crowns, fillings or veneers. It may be advisable to replace the existing fillings after teeth whitening procedure, as they will stay in the same, darker shade than bleached teeth. No matter what treatment you use, there is a chance your teeth can be sensitive to the chemicals used in the process, especially if you already have sensitive teeth. There’s also a chance of gums burns, specially when the trays are overloaded with the gel. Tea and coffee. Tea and coffee both contain tannins, which cause the staining. There is some evidence that upping the milk in your tea or coffee may help to counteract the staining. Red wine. It’s fine to enjoy the occasional glass of wine. But unfortunately for our teeth, red wine is one of the most common causes of tooth staining. The dark colouring of this drink, coupled with the acids which will wear away at your teeth, make cola a definite no for your teeth. Fruit juices. Dark-coloured fruit juices, such as cranberry, blueberry and grape juices are liable to leave stains on your teeth. Tomato-based sauces. Tomatoes are a great source of many important nutrients. But the pigment causing their deep red colour makes them a key offender for staining. With their strong, deep colouring it’s no wonder that eating lots of curries can leave behind tell-tale signs on your teeth. Balsamic vinegar. It may make a tasty salad dressing, but the deep pigmentation in balsamic vinegar means you need to watch out for its effects on your teeth. Soy sauce. It’s a classic addition to any good stir-fry, but the dark colouring of soy may linger on your teeth long after your meal’s finished. Munching on a handful of berries can help to tot up your five-a-day. But as healthy as they may be, berries are another tooth-staining culprit. Beetroot is packed full of vitamins and minerals, and there have been claims about its health benefits. But if you’ve ever handled beetroot, you’ll know just how much it can stain. How can you prolong teeth whitening effect? Although certain things can make you more prone to staining, the biggest factor by far is poor oral hygiene. Here are a few simple ways you can help keep your teeth sparkling white. Limit the amount of stain-producing foods or drinks when you can. Could you substitute a normal cup of tea for a light herbal tea or flavoured hot water? Rinse your mouth with water after eating or drinking something that may stain your teeth. Use a straw when drinking cold drinks like cola or juice that may stain your teeth. Chewing gum that contains xylitol can help to stimulate more saliva, which cleanses your mouth. Eat plenty of crunchy fruit and veg, like apples, carrots and celery as they boost saliva and scrub your teeth, acting as natural stain removers. Also eating strawberries may help keep teeth whiter. Make sure you’re brushing your teeth twice a day, and as recommended by your dentist. See your dentist or hygienist as frequently as they advise. They may recommend some products you can try to reduce staining. 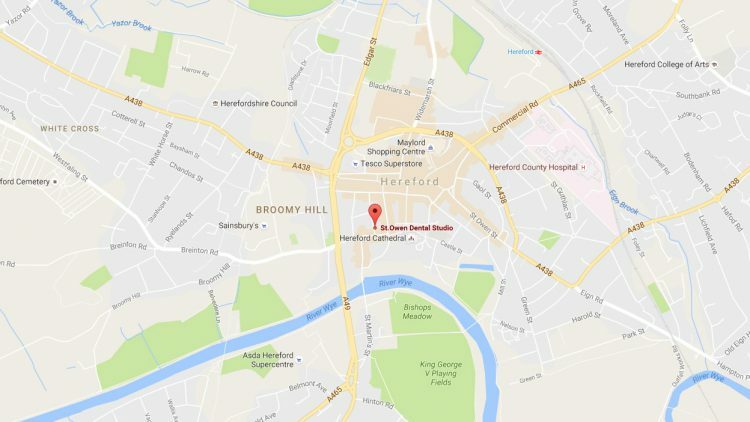 They can also tell you more about any services they may offer, such as professional cleaning or tooth whitening.